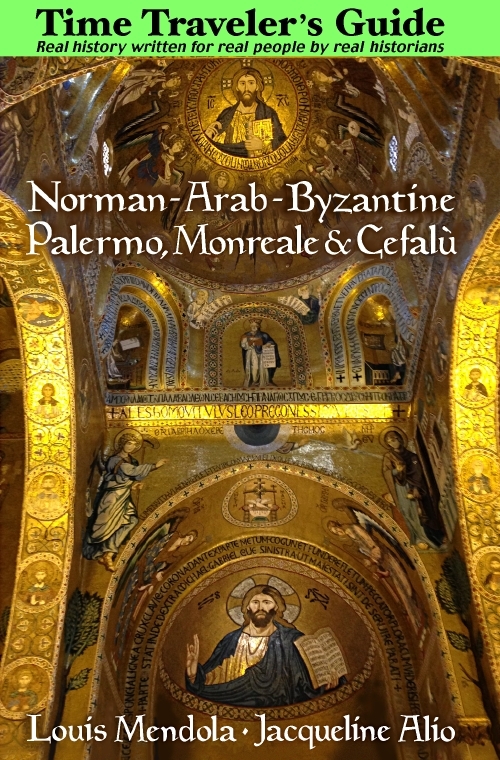 Gardens and Parks in Palermo - See Palermo and Western Sicily. Several gardens stand out among Palermo's green areas. The English Garden (Giardino Inglese) and Villa Trabia, both near Piazza Croci and Via Libertà, are conveniently located in the commercial center of town. Villa sul Mare is a vast lawn with palm trees that runs along the shore near Porta Felice (at the end of Corso Vittorio Emanuele), with Villa Giulia nearby. Piazza Vittoria, in the middle of the old city between the Cathedral and the Norman Palace, is the site of Palermo's ancient Roman ruins. On the edge of the city, toward Mondello beach and beneath Mount Pellegrino, La Favorita is an expansive woods that includes the grounds of the Chinese Palace, formerly a residence of the Bourbon kings. The most interesting of all these is the Botanical Gardens, off Via Lincoln next to Villa Giulia. The Botanical Gardens (Orto Botanico) of Palermo are among the oldest modern centers for botanical studies in the Mediterranean region. The park houses a greenhouse (glasshouse), seed and dried plant repository, catalogue archive, and more than ten hectares of outdoor gardens in the busy centre of what is today Sicily's largest city. 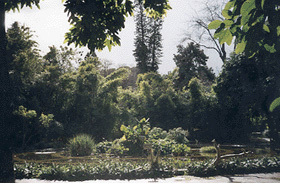 The Orto Botanico is home to hundreds of tropical and semi-tropical plants from around the world, many of which were introduced into Europe by this unique organisation, now administered by the University of Palermo. The medieval kings of Sicily had vast gardens around the palaces known as the Cuba and the Zisa, but in terms of modern botany, the Orto Botanical was founded with eighteenth century biological principles in mind. The Royal Academy of Studies, the university of its day, first established a botanical institute at Palermo in 1779 under the auspices of the government of King Francesco I of the Two Sicilies. Requiring more space, the Botanical Gardens were transferred to their present location, next to the Villa Giulia park, in 1786. The Neo-Classical structures visible today were begun three years later, based on designs by Trombetta, Marabitti and the famous Venanzio Marvuglia. The sculptor Vitale Tuccio created the two sphinxes flanking the steps leading to the main building. These works have been recently restored. One section of the gardens is arranged based on the Engler system, the other on the Linnaean system. The Orto Botanico has some pleasant surprises. The area was once part of a park owned by the Crown, which used it as a vineyard. Then it was claimed by the Diocese of Palermo, and the ruins of an entrance and wall of the fourteenth century Church of Saint Dennis are still visible in an isolated corner of the Gardens. The Baroque greenhouse seen today was built in cast iron in the late nineteenth century, replacing an older wooden one donated by Queen Maria Carolina of Naples in 1806. The plants themselves include foreign species such as bamboo from Burma, various foreign palms, the coffee plant, sycamore, manioc, papaya and many others. Mandarins and loquats are also present, having been introduced into the agriculture of the Mediterranean countries from the Far East by the Palermo Botanical Gardens between 1812 and 1817 with specimens donated by the British Royal Navy. Here you can also see cotton and sugar cane, once widely cultivated in Sicily. In the Aquarium, a round, multi-tiered pond, there are several species of lotus and water lily, including Oriental varieties. The Orto Botanico also has a large cactus collection. It's ambience is different from what you might expect in the newer botanical gardens of other nations. Little consideration seems to have been given to the aesthetic element of arborial areas. In many respects, the Gardens reflect the look they had two centuries ago. Many areas seem haphazardly assembled. Yet, this is precisely what gives the Orto Botanico a slightly wild appearance so welcome in a Sicilian urban park. If you seek symmetry, there's Villa Giulia next door. One of the more important roles of the Botanical Gardens is cataloging the wild plants found in Sicily, and the University tracks the status and conservation of these species. There's also a special area dedicated specifically to Mediterranean species not present in Sicily. The Orto Botanico belongs to a global network of botanical institutions which exchange seeds, specimens and information. The Botanical Gardens are an interesting place to visit on a hot Sicilian day. Admission prices are nominal and the Gardens are open to the public most weekdays from 9:00 AM until 1:00 PM, and from 9:00 AM until 5:00 PM on Tuesdays and Thursdays. The main entrance is on Via Lincoln.